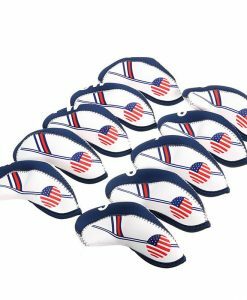 Our golf iron covers offer serious protection for serious clubs. Irons are the workhorses of the golf course, but that doesn’t mean they don’t deserve as much TLC as your other clubs. 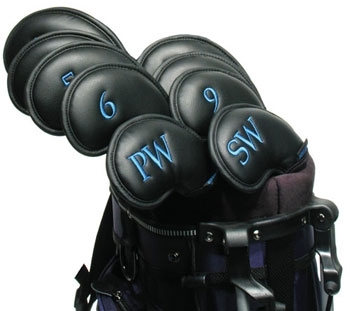 Iron covers will also quiet down the bag chatter that comes when you leave your irons uncovered. 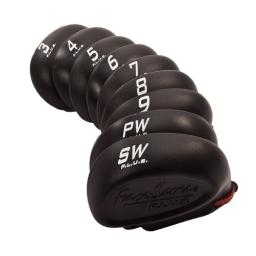 We carry iron headcovers from leading manufacturers like Soft-eze and Face Saver. All items are full sets of four to ten covers made of durable materials that are sure to protect your investment. 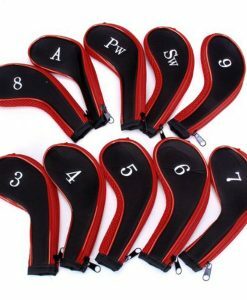 Every day we offer our customers the best prices possible on all our iron covers for golf clubs. We go one step further to help you save with bulk order discounts. When you buy 12 or more items, you’ll get discounts starting at 10% off. If you have questions or need to order more than 12 items, give us a call at 772-266-0060 to discuss how much more we can help you save on iron covers.